SNIF-ACT (Scent-based Navigation and Information Foraging in the ACT architecture) has been developed to simulate users as they perform unfamiliar information-seeking tasks on the World Wide Web (WWW). SNIF-ACT selects actions based on the measure of information scent, which is calculated by a spreading activation mechanism that captures the mutual relevance of the contents of a WWW page to the goal of the user. There are two main predictions of SNIF-ACT: (1) users working on unfamiliar tasks are expected to choose links that have high information scent, (2) users will leave a site when the information scent of the site diminishes below a certain threshold. SNIF-ACT produced good fits to data collected from four users working on two tasks each. 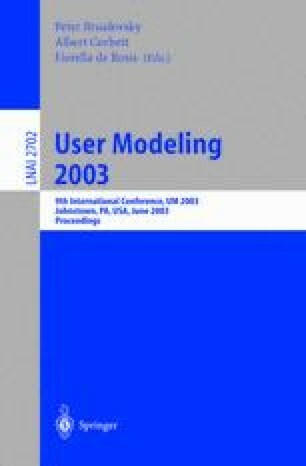 The results suggest that the current content-based spreading activation SNIF-ACT model is able to generate useful predictions about complex user-WWW interactions.